In ANiC we want every person in our churches to be equipped and trained to clearly, accurately and boldly speak the good news about Jesus Christ to everyone around them. Is the gospel worth being bold about? The Christian message is not advice about how to do things for God, it's news about what God has done for us. The word “gospel” literally means “good news”. And the good news about Jesus is the very best and most important of news. It is the news that God has done in Jesus everything necessary to save us. You may have heard people wrongly quote St. Francis of Assisi saying, “Preach the gospel at all times. Use words if necessary.” But there is no evidence that St. Francis ever said this. More importantly, it’s just not biblical. Faith in the gospel absolutely informs and transforms how we conduct ourselves, and that can and will impact people around us in all kinds of ways. But we are called and commanded to be news carriers, to go and to proclaim; to be witnesses. And to be a witness you must speak; you must testify. 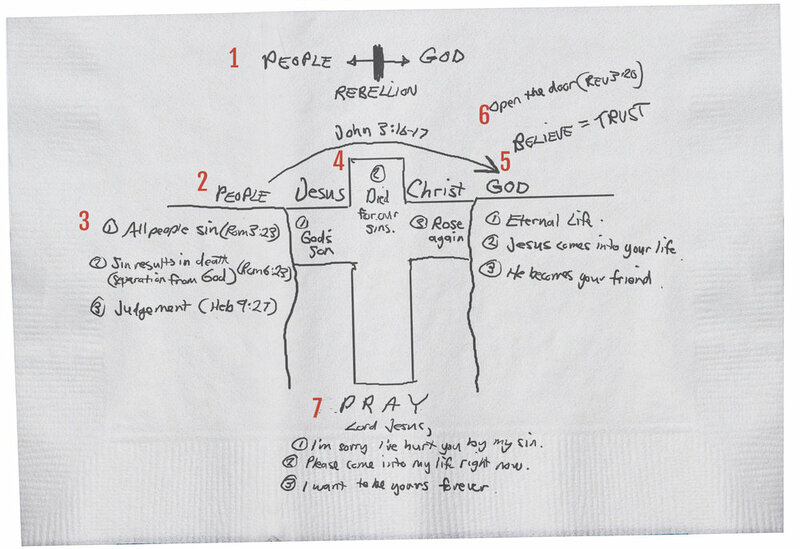 An example of the Bridge Illustration for sharing the gospel with people. Are you (and your fellow parishioners) equipped and ready to share your testimony of how you received the Lord Jesus into your life? Are you able to share the Gospel in a clear and winsome way and invite people to respond? What are you and your church doing to become trained and equipped to be bold witnesses? We think most Christians have some idea that sharing the news of Jesus is important. But there are often lots of hindrances and fears in our way. We may have good intentions but it may be seldom that we see anything truly come of them. So, our hope and goal across all of our family of churches is that we can help one another become more confident, intentional, equipped and determined to actually open our mouths and speak the good and glorious news about Jesus Christ.